Is CBD oil really for me and my pet? CBD oil is extracted from the cannabis plant. what you should know before you try it. Suddenly cannabidiol (CBD) oil seems to be everywhere. People enjoy it in their night tea, swallow capsules and use lip balm with CBD oil. They claim that it relieves depression, relieves chronic pain and helps them to sleep more deeply. And although CBD oil is derived from marijuana plants, it will not cause intoxication. But what exactly is CBD oil? CBD oil is normally extracted from the resin glands of cannabis (marijuana) buds and flowers. However, it can also be obtained from industrial hemp, an industrial, fibrous form of cannabis that has a tetrahydrocannabinol concentration (THC) in the EU of less than 0.3% in Germany below 0.2% or less (THC is the cannabinol compound which is responsible for causing intoxication in humans). CBD oil is usually diluted with another type of edible oil, often with hemp oil, which tastes a bit tart and slightly sweet. There are more than 80 active cannabinoids in marijuana. Their effects on us arise from their interactions with specific receptors in our body. 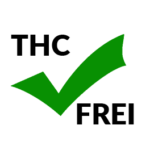 THC is the most important psychoactive cannabinoid in the plant. This produces intoxication and euphoria through interaction with CB1 receptors in the brain. In direct comparison with THC, however, it shows that the interaction of CBD with the same receptors is 100 times weaker. The functioning of the brain is not affected by CBD oil in the same way THC would be. The legality of CBD oil depends on where you live. In the US, it is legal in 29 states where medical and / or recreational marijuana is legal. There are currently no controls or tax restrictions in Germany. This has advantages and disadvantages for consumers. 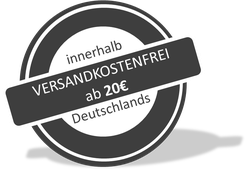 Today the purchase and the application in Germany are 100% legal. However, mislabeled products can have a significant amount of THC - more below. We have put all our experience and effort into this premium product. Our CBD oil is a 100% natural and fully fledged plant product. No isolates used. The oil contains 10% or 5% CBD and all other cannabinoids and terpenes produced by Cannabis Sativa L.
Germany at our dear neighbors, the Netherlands. Shake well before use. The product is intended for oral (oromucosal) use. The maximum consumption of 20 drops should not be exceeded, equivalent to 50 mg / recommended daily intake. Our CBD oil is not psychoactive and is a nutritional supplement. Made from premium hemp seed oil and best cannabis extract from Germany at our dear neighbors, the Netherlands. The maximum consumption level of 10 drops should not be exceeded, equivalent to 50 mg / recommended daily intake. Research shows that CBD oil can actually have many benefits. The regulatory authorities for pharmaceutical products are currently examining an application for a new drug. Epidiolex, as the name implies, is a pharmaceutical grade CBD drug. It is used to treat childhood epileptic seizures. Dravet syndrome and Lennox-Gastaut syndrome are rare, and so far there are few effective treatments and medications. In addition, animal studies and practical applications show that CBD oil has the potential to treat a variety of conditions, from anxiety and drug abuse disorders to chronic pain and central nervous system disorders. Two recently published clinical studies - one in the New England Journal of Medicine, the other in The Lancet - showed that CBD oil could be effective in reducing certain types of seizures. However, the scientific research of CBD oil with humans is still limited. In the United States, cannabidiol is classified as a List 1 drug (with no currently accepted medical use and with high potential for abuse), so that the government requires extensive documentation and extensive regulations from researchers who are interested in studying it. "CBD oil" is marketed today in all areas, from drops, capsules, syrups and teas to lotions and creams. However, not all CBD products are approved for any purpose. This means that their manufacture, labeling and distribution are not subject to legal requirements. 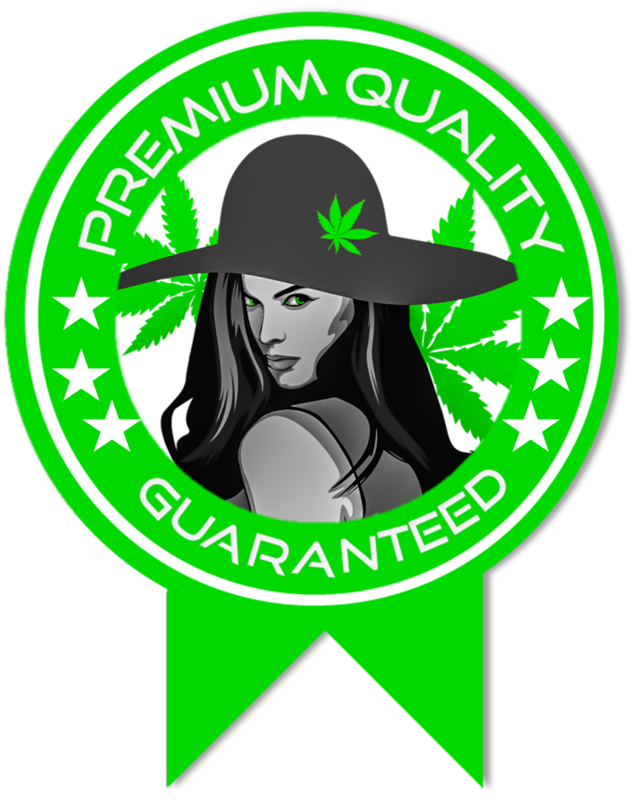 The safety and reliability of currently available CBD products is somewhat dependent on the countries in which they are manufactured. Some countries and states have a state-regulated CBD production. There, the products are tested for purity, content and other criteria, so there is a certain reliability. In other countries where production is not regulated, there is no way to know for sure what CBD products contain. Studies have shown that these products may contain impurities, pesticides, fungi, or not the amount of CBD that appears on the label. 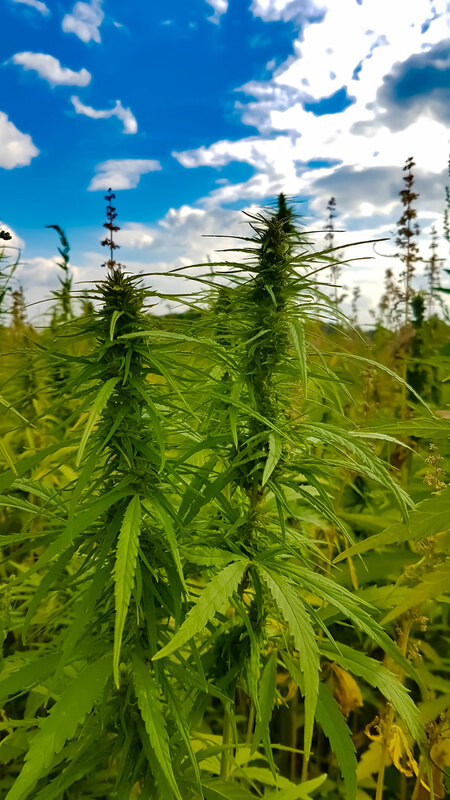 Last year, a World Health Organization (WHO) preliminary report found that "no public health problems were associated with the use of pure CBD" and that there was no potential for dependency or abuse. But that does not mean that CBD oil has no side effects. In the NEJM and Lancet studies, the most common side effects were nausea, vomiting, diarrhea, and flatulence. In addition, there are certain interactions with CBD and other common drugs. Therefore, CBD products should not be taken without consultation with treated physicians. We recommend to choose a doctor who has a sound knowledge of vital substances, because only this can give competent recommendations and evaluate any side effects or drug interactions. Our understanding of the benefits of the CBD - and public support in approving and regulating its use - continues to grow. While science is making numerous studies on further exploration of CBD oil, high-quality products are already available on the market today. When buying, however, consumers should be careful to choose high quality products from reputable producers and suppliers. This minimizes the risks of contaminants, false concentrations and side effects while increasing CBD benefits. CBD salmon oil from Mrs. Hanf - especially for our friends! When we hear about cannabis, we think of drugs first and foremost. But you do not have to worry - of course your four-legged friends will not get high with the addition of CBD Salmon Oil. But on the contrary! Cannabidiol has a positive effect on the general well-being and can help in the long term against a whole range of problems. As a dietary supplement, the CBD salmon oil is so good because it can increase the quality of life and gives you as a good owner feel. 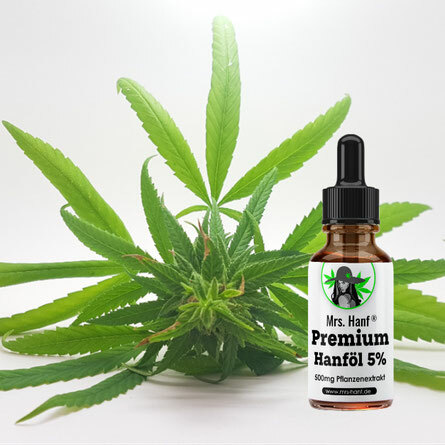 Mrs. Hanf CBD Salmon Oil is a specifically developed CBD oil. The CBD concentration is specially adapted. 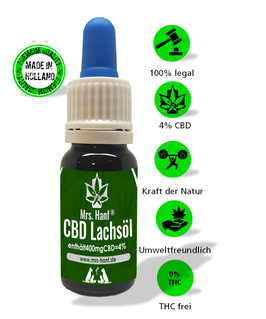 Made from premium salmon oil and best cannabis extract from Germany. Mrs. Hemp CBD salmon oil is made from the best CBD extract and pure premium salmon oil. By using salmon oil, the taste is more comfortable. It is rich in terpenes and has the largest variety of cannabinoids for maximum effect. Dosage: 1 drop per 7 kg body weight, a maximum of three times a day or as recommended by your doc.